I am currently in Austin, Texas for a wedding on Saturday and I am drinking up every single bit of wonderful that I can while I am here. For those who may not know, I lived in Austin for a mere sixteen months, but in that short period of time, this place – the smell on the breeze, the damp, steamy air, the short, crooked trees, the food, the music, the people, all of it – grew on me. Grew in me. It burrowed into my soul and took root. I am utterly and ridiculously happy to be living in Minnesconsin again, but this place, the town in the middle of Texas, it fits, too. They say home is where your heart is – and I used to think that meant one place. I know better now. You can leave pieces of your heart all over, and I’ve definitely left some of it here in Austin. Which is nice, because now, each time I come back to visit, it still feels like I’m coming home. That is a feeling that I will never grow tired of. 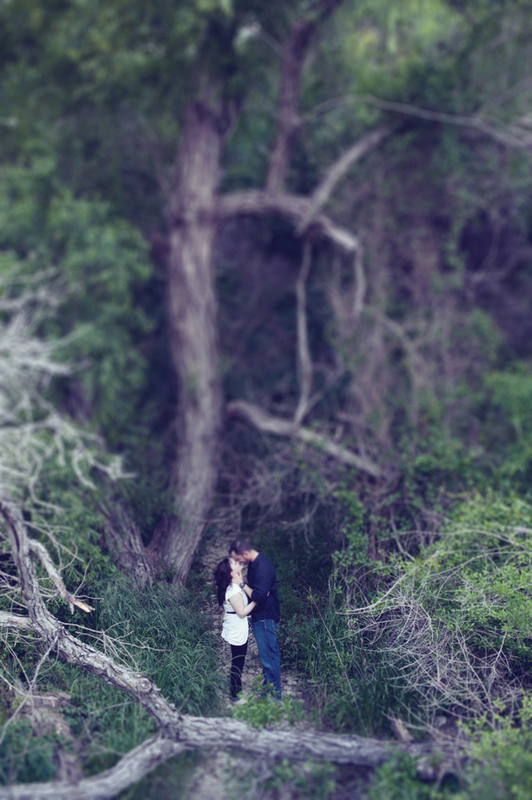 Whitney and Greg are getting married at a gorgeous little ranch in Burnet, Texas on Saturday, surrounded by their closest family and friends. But tonight, it was just them and me. We got to know each other a little better as we walked the trails at Brushy Creek Park, as the breeze danced in Whitney’s hair and Greg cracked joke after joke (after joke!). I got to watch these two wonderful people fall a little bit more in love with each other as they get ready to embark on an amazing journey as husband and wife. Here is a single frame from our session tonight. Absolutely wonderful! I can’t wait to see the rest and hear all about it! Enjoy your trip to your second home. XO! So small…in such a big world! But I bet they feel pretty large and in love! Love the scale of the photo!